Seth Meyers and Amy Poehler revived their old "Really?" Saturday Night Live sketch to go after a Sports Illustrated contributor who (apparently) hates women's soccer. OK, so here's what happened: Sports Illustrated editor Mark Mravic tweeted about England's badass goal to send them to the knockout stage of the World Cup. He mentioned one of SI's football contributors, Andy Benoit, who apparently thinks women's sports are about as exciting as we all think hanging out with Andy Benoit would be. Andy Benoit upped the ante with a tweet that has since been deleted. Unfortunately for him, screenshoting is a thing. Thanks to @BarbJordan18 (not connected in any way with The18) for the picture. Benoit drew the ire of two of America's finest comedic minds, Seth Meyers and Amy Poehler, in a segment we like to call (because that's its name) "Really!?!? with Seth and Amy." For what it's worth, Benoit apologized, again on Twitter, after being eviscerated on late-night television. …. and, in my stupidity, overcompensated by saying something ignorant and extreme. 100% mistake on my part, for which I'm deeply sorry. It goes without saying that Seth and Amy are awesome for promoting women's sports, and, who knows, maybe they can make a convert of Andy Benoit someday. It also goes without saying that we here at The18 love women's soccer, mainly because it is full of badasses like Stephanie Roche. 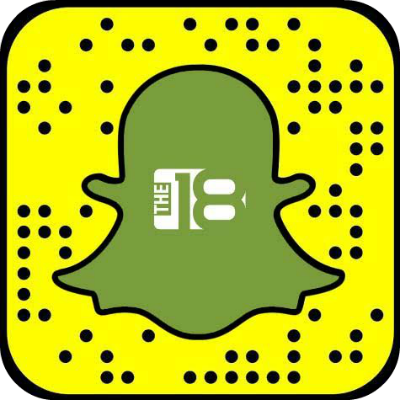 At The18, we work closely with players to give the women's game (which is a stupid phrase because soccer is everyone's game) the attention it deserves, which is surely more attention than it currently gets. "I think most people don't realize that there's a women's professional soccer league," said former Portland Thorns and USWNT player Nikki Marshall when we talked to her recently. And that's why we're introducing "Beauty Is A Beast," a campaign dedicated to showcasing how incredible women's soccer really is. What is "Beauty Is A Beast" you ask? Well, some of those badass soccer players we mentioned have answers for you. "'Beauty is a beast' means being a strong, confident athlete," said Chicago Red Stars defender Michelle Lomnicki. "I think it's just going out every day, giving it everything that you have in anything that you do, whether it's a sport or just anything in life. I think it's being tenacious and going after what you want," Lomnicki said. "Beauty is a beast...means exactly what it says," Marshall added. "Female athletes are held to a double standard. One, we have to be marketable and beautiful to get any press, and at the same time, we're beastly. We're out on the field and it's not pretty necessarily. Share any and all awesome womens soccer photos, videos etc. with the hashtag #BeautyIsABeast to show guys like Andy Benoit how wrong they are.